The title is a reference to the Curta which was a machine that was thoroughly mentioned in this chapter. It is obvious that the title is gearing us up for a well developed encounter with the Curta. Notice the use of parallel analogy in the title. Math and Grenade are words that both connote a negative meaning. Here we can see that we are being directed towards an understanding or a frame of mind that there is something sinister, bad or anything remotely close to an idea of a conflict going on in the novel. This is further supported by the many other passing references to war and thus violence (though perhaps occurring in different timelines) such as a mention of mew houses (in connection to its decline during WWI and consequently during WWII), Buchenwald (Nazi concentration camp), and even the Victorian surgical instruments which was primarily used for the amputation of a lot of soldiers' limbs during the early wars. And also by that mention of historical occurrences, we see how history plays a major role in this chapter. History was used to illustrate the idea that our society today is an archival society. This means that we have a vivid picture or that we can clearly imagine a time that is not ours and is perhaps long gone. For example I asked about the Inquisition, there would be a lot of people, especially the historians, who can tell me what the Inquisition was and describe almost vividly how life was like back then though perhaps with the help of Google or with an encyclopedia. This is really just a proof of how our society is really fond of recording information and is very nostalgic by nature. We can see this idea at work when Cayce was talking to Voytek.There was a part in this chapter where Cayce asked about the ZX81 and Voytek gave her a somewhat short yet detailed description of the computer and of its history including its failed marketing strategy. Cayce had difficulty at first in accepting it but she did not seem to have difficulty imagining what it was like back then. This then leads us to another idea found in this chapter which is the issue of marketing. It is obvious that in today's society Marketing is a big phenomenon. It affects all of our lives. To illustrate this let us turn to the novel. It was mentioned in the chapter that the ZX81 is also the same as the Timex 1000 in the US. 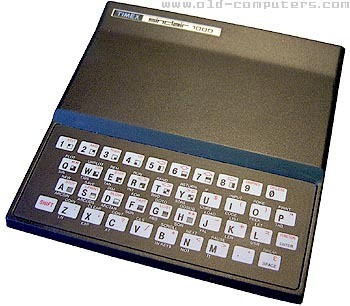 The problem was that though Timex 1000 sold in the U.S, the ZX81 did not do that well in the U.K. They are exactly the same product but when put in different markets, faced a different fate. What this shows us is that there are many factors involved in selling and thus consequently in marketing a product. Each factor should be thoroughly evaluated and considered before making a final decision. For more tips on strategic business management visit this site. And for more marketing tips visit this site. Another idea explored in this chapter is the idea that was mentioned in the "Economy of Icons" which was authored by Ernest Sternberg. What this idea essentially say is that our society is also a recycling society. This means that in almost every product that is available today there is some kind of "repackaging" that is happening. Nothing is really original, and what is really happening is just a recontextualization of the use of the product and possibly of a reprocessing of how the product is viewed. The Curta, for example, does not anymore serve its original purpose of doing calculations. When people buy the Curta, they do not do so because they want to calculate numbers faster but only because they want it as valued collection. We can see here how the value of the Curta changed from something quantifiable (usefulness) to something invaluable (collector's item). The image of the Curta is "recontextualized" and was given a new meaning. Another example would be the calculator. It is very obvious that the calculator is not really an original product, it is just a modern derivative of the basic calculating device which is the abacus just like what the Curta essentially is. What happened here is that the calculating device was "repackaged" to meet the modern world's standards and thus evolved into what we call now as the calculator.